Whether you visit the salon a few times a week or only occasionally, all us girls are guilty of doing one or more of these 8 things when we visit a salon. We might never admit it, but there’s nothing better than a new, refreshed look which leaves you with a spring in your step. 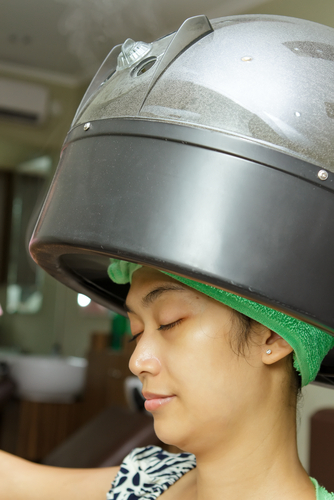 Here’s 8 things girls love doing at salons and the guilty pleasures we indulge in. Whatever products they choose to use, our stylists have the power to make our hair look like it’s best version yet! They give life to flat, dull hair and even manage to control frizzy, flyaways. All we have to do is sit back and relax, while our mane is primped to perfection. So much so, we avoid washing it for as long as possible and click multiple selfies after the session. Because your hair looks best when it has been freshly blow-dried and styled to perfection. Guilty pleasure: There’s this sense of calm that comes with a therapist’s soft hands combing through our hair. A monthly trip to the salon most often results in hours spent prettying ourselves. And that’s why, it is the best time to reflect on your life and the people in it. A hair spa or massage is the best way to spend time reflecting on your inner self. The best part is, a calm mind not only helps you feel refreshed and rejuvenated, it also reflects on your hair and skin, giving them both a healthy glow. Guilty pleasure: Falling asleep at the salon! You know what makes a salon appointment even better? Combining it with some bestie time! A mani-pedi session with your bestie is a great way to spend an afternoon. Whether it’s harmless gossip or intense conversations about love and life, getting pampered at the salon makes for a great bonding experience. Guilty pleasure: Leaving the salon armed with inside information on everyone’s love life. Win! What’s the best way to change your look without having to chop off your hair? Experimenting with some cool colour of course! Whether you want to go crazy with reds and pinks or want to keep it subtle with pretty brown highlights, salons make it possible and super easy. 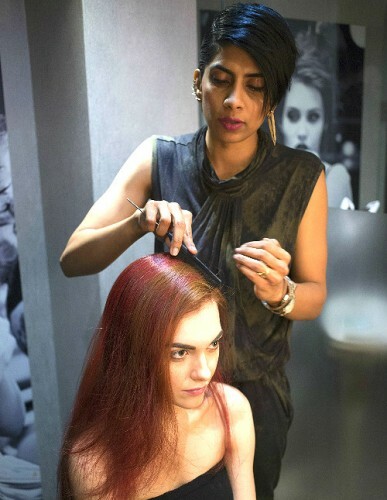 We’re crushing on the impressive collection of hair colours, ranging from dynamic shades like Fuschia to Rose Blondes, at the Lakmé Salons this season. Guilty pleasure: Catching up on Bollywood gossip from our favourite glossies while our mane is getting treated. Have to attend a wedding in the family? This is one occassion where we don’t think twice before booking a salon appointment. Those intricate updos and gorgeous hairstyles are quite impossible to carry out at home. Salon’s take half the time and give you a flawless look which is occassion-appropriate. The trendy and versatile hairstyles from Lakmé Salon’s Illuminate theme have been designed for every grand occasion, without being over-the-top. Guilty pleasure: Keeping the hairdo even after the wedding and recycling it for another occasion (shhh!). Every girl dreams of flawless skin with that lit-from-within glow. Everyday pollution and sun exposure can wreak havoc and the best way to get rid of all the damage is a treatment that is widely acclaimed. 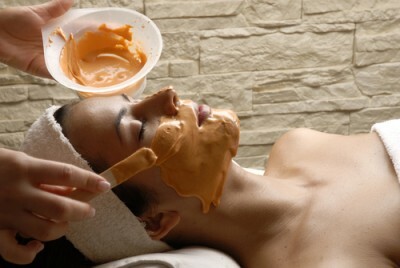 A professional facial helps rejuvenate your skin and gives you a lasting radiance. 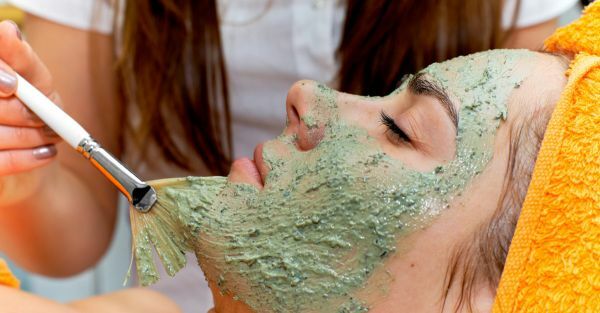 This summer, try the wonderful “Goodbye Tan Facial” offered by Lakmé Salons which will help reduce your tan with gentle treatment that lightens and brightens. Guilty pleasure: Screwing up your face to see the layer of facial mixture wrinkle on your skin. The therapist hates when you do this but it’s hard to resist *wink* This is a sponsored post for Lakmé Salons. Lakmé Salons launched their Illuminate Services at Lakmé Fashion Week Summer Resort 2016. You can get the latest Illuminate Collection with hair, makeup, nails and skin services at any Lakmé Salon at 10% discount now. To book, click here.